For more than thirty years, this serial has broadened the technical scope and expanded the scientific base of clinical chemistry. These volumes clarify the areas of molecular biology, informatics, and the monitoring of physiological parameters in critical situations as they pertain to clinical chemistry. 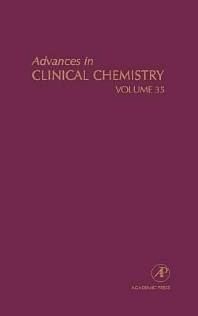 Each volume of Advances in Clinical Chemistry contains an index, and each chapter includes references. Clinical chemists, pathologists, medical technologists, and medical researchers.